In an extensive CNN report, eight women allege Morgan Freeman sexually harassed them. The outlet’s investigation included 16 people total, including witnesses to Freeman’s reported conduct; together, they describe “a pattern of inappropriate behavior by Freeman on set” and in promoting his projects and production company, Revelations Entertainment. Freeman’s accusers include a production assistant who worked on Going In Style, a senior member of the Now You See Me production staff, former employees, and three entertainment reporters. CNN’s own Chloe Melas, who co-wrote the article, was among them—she says Freeman repeatedly made inappropriate remarks when she interviewed him during a Going In Style junket, including telling the then-pregnant Melas she was “ripe.” Melas reported the incident to her supervisor, and the complaint made its way through human resources departments at both CNN and Warner Bros., the latter of which produced and distributed the 2015 film. The Warner Bros. employees who were present during the interview say they didn’t “notice anything,” and since only one of Freeman’s comments was caught on camera, Melas’ account could not be corroborated. CNN ultimately told Melas she didn’t have to cover Going In Style in any other capacity, but Freeman’s alleged behavior prompted her to look into whether there were other women with similar stories. She and co-author An Phung found several, most of whom remain unnamed, including the Going In Style PA who says Freeman once “kept trying to lift up my skirt and asking if I was wearing underwear.” That was in addition to other alleged incidents of “unwanted touching and comments about her figure and clothing on a near-daily basis.” Four women involved in production reported that Freeman “repeatedly [behaved] in ways that made women feel uncomfortable at work,” while two women said he’d subjected them to unwanted touching. 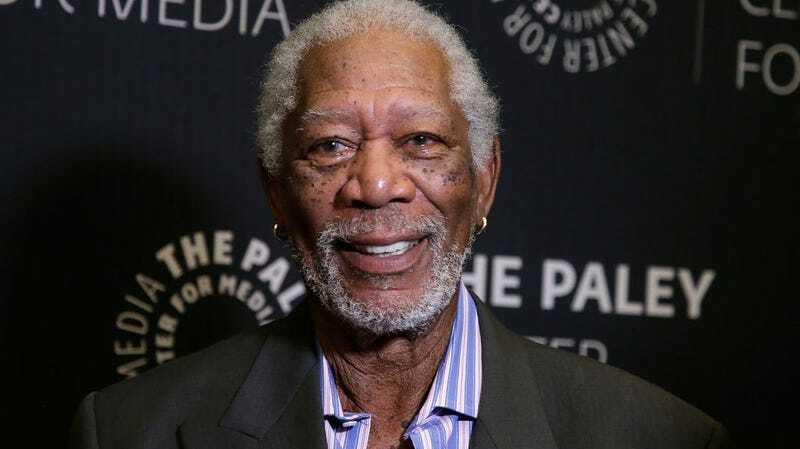 Three others said “he made public comments about women’s clothing or bodies.” One former female employee at Revelations Entertainment alleged that Freeman asked her how she felt about sexual harassment after looking her up and down in front of a group of men on the set of Through The Wormhole. CNN sent a “detailed list” of the allegations against Freeman as well as a request for comment to the actor’s spokesperson, but at the time of this writing, Freeman’s rep hadn’t responded. Anyone who knows me or has worked with me knows I am not someone who would intentionally offend or knowingly make anyone feel uneasy. I apologize to anyone who felt uncomfortable or disrespected—that was never my intent.